The East African wildlife exploration makes stops at the most significant national parks in the Rift Valley region. Begin your safari by witnessing the great migration in the famed Masai Mara National Park, from here you will make your way to the Tanzanian boarder and into the Serengeti. Explore this diverse wilderness as you head towards the Ngorongoro Crater. Ngorongoro Crater and Lake Manyara are home to a variety of wildlife all year round. After breakfast this morning, pack up your things in Nairobi and embark on a 4 to 5 hour drive through the agricultural country, to the Masai Mara Game Reserve. You will enter the reserve for an eventful afternoon of game driving. After exploring the action, you will continue on to your overnight camp for check in. Spend two days exploring this majestic park with its large diversity of beautiful scenery, including its meandering rivers, towering escarpments and rolling grasslands that provide the perfect habitat for the abundance of game, including the Big Five – lion, leopard, buffalo, elephant and black rhino. Masai Mara is one of Africa’s greatest wildlife reserves. Acacia dotted plains, tree-lined rivers and woodlands are abundant with wildlife and an array of birdlife. Game viewing is spectacular year round; you may see a pride of lions stalking their prey, observe a herd of elephant and their fascinating social structure, or see pods of hippo wallowing in the rivers. The great wildebeest migration is one of nature’s wonders; an estimated two million animals migrate in a year-round pattern through Tanzania and Kenya, following the rain. Around July each year the huge herds begin dramatic river crossings and the grasslands of the Mara are covered by a mass of moving wildebeest, offering easy opportunity for crocodile and predators that are never far away. 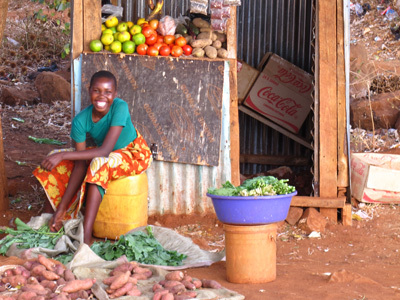 When in the Mara visit a traditional Maasai village or take a balloon safari at an extra cost. After breakfast this morning, you will wave goodbye to Kenya, as you head out on an the early morning transfer to the Isebania border post with Tanzania. Welcome to Tanzania! When you have crossed the border, you will be met by your Tanzanian guide for a briefing on the next leg of your safari excursion. Together, you will then continue onto the beautiful Lake Victoria region, for your overnight accommodations. Following a delicious breakfast this morning, depart the lodge and head out towards the endless plains of the Serengeti! The Serengeti National Park is probably the best place on the planet to spot large game. Your time in the Serengeti will be spent on different game drives searching for prides of lions, cheetah, leopard and much more. In the evenings, you will return to your unique lodge, to share stories and enjoy dinner beneath the stars. Listen to the nocturnal world come to life, as you fall asleep! Enjoy two full days of game driving and exploration. Lions, zebras, cheetahs, giraffes, various gazelles, elands, impalas and warthogs, among many other animals dwell in high populations within the Serengeti. This is what makes the Serengeti one of the most amazing wildlife observation destinations in the world. Make sure to have your camera nearby at all times, to capture the memories of a lifetime! Following breakfast at the lodge this morning, you will pack up your things for the journey to the Ngorongoro Crater rim. This next leg of the adventure will include game driving, tracking wildlife and exploring the scenic landscapes on the way. Later this afternoon, you will be dropped off at your next accommodation. Today you will transfer to the Ngorongoro conservation area for an afternoon walk around the crater rim with an armed ranger. Ngorongoro was a huge active volcano, probably larger than Kilimanjaro when the volcano erupted some 8 million years ago. Its cone collapsed leaving a crater or more appropriately a “caldera” 600m deep, 16km across and 265 sq km in area. This morning begins with a short drive to Karatu and a leisurely walking safari through farms and villages on the rift valley escarpment. You'll discover the farming, irrigation and local cattle-husbandry techniques, visit houses and, if you want, sample the local cuisine of the Iraqw tribe. You can also experience traditional wood-fired brick making, local musicians, and generally gain a deeper understanding of the lifestyle of the people who live here. 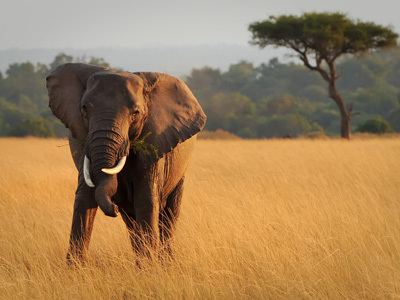 Today, you will say hello to Tarangire National Park, as you continue your journey onward. You will make your way to Lake Manyara, entering through the southern entrance. This route will reward you with an incredible game drive experience. This National Park is famed for the bird life around the soda lake, flamingos in particular, and is home to unusual tree-climbing lions. After your exhilarating excursion, your drive will continue to Tarangire for your overnight stay. Today you will be met and transferred from your camp in Tarangire to your accommodations in Arusha. On arrival, check in and enjoy the remainder of the day at leisure soaking up your last night in Tanzania. Sadly, your journey must come to an end today. However, you will be leaving with unforgettable memories and the experience of a lifetime! After checking out of your hotel in Arusha, you will be met by your driver and transferred to the airport in good time to board your international departure flight home. 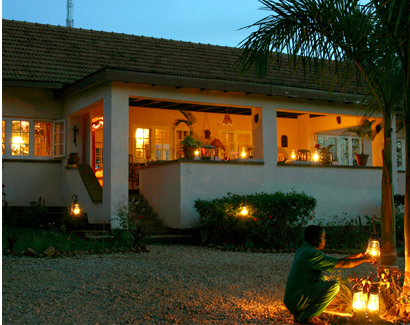 The Boma Lodge is a charming guesthouse set in tropical gardens in a leafy suburb, a few minutes drive from Entebbe International Airport. Entebbe sits on the northern shores of Lake Victoria, Africa's largest lake. Rooms combine modern comforts with the charm and character of the original 1940s home. Each is individually decorated in a mixture of African and European décor, and have been designed to reflect the original colonial architecture. 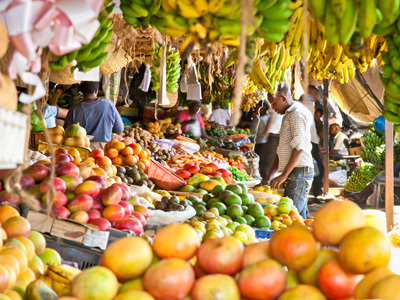 The staff's warm hospitality is in keeping with the tradition of Entebbe, this charming lakeshore town. Speke Bay Lodge is located on the south-eastern shore of Lake Victoria in Tanzania, East Africa. It is 15 kilometers from the Serengeti National Park, and 125 kilometers north of Mwanza. Speke Bay is part of Speke Gulf, named after the famous explorer John Hanning Speke, who, in 1858, discovered Lake Victoria to be the source of the Nile. Embraced by savannah, the Lodge looks like a small village, stretched out along the shores of the lake. 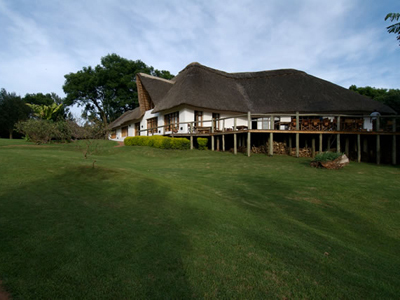 The main buildings and luxury accommodations are round in form, painted white and thatched with a grass roof in the traditional style of the local tribe, the Sukuma. Since the Lodge is outside but close to the Serengeti National Park, it is the ideal place to start or end your safari, or relax during your travels. Ngorongoro Farm House offers 50 room cottages with ample space inside, built on the style of an old colonial farm and rustically decorated with local materials and full of details of good taste, with the purpose of offering clients an imaginary journey to the life of the days gone. Ngorongoro Farm House is a perfect stopover within any safari in the Northern Circuit of Tanzania and a privileged place to visit the Crater or enjoy a bunch of activities: Like a walking safari to the adjacent forest leading to the Oldeani Volcano or an excursion to the nearby Lake Eyasi in the Rift Valley, still inhabited by a tribe of hunter-gatherers, the Hadzabe, a relic of ancient times who still follow a style of life similar to the humans who inhabited the Earth before the discovery of agriculture. 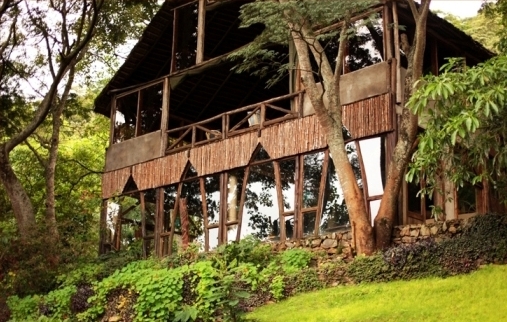 Karama Lodge is an eco-friendly lodge located in Arusha, Tanzania and is the perfect home base for a Tanzania Safari or a restful night's sleep before climbing Mt. Kilimanjaro. The lodge itself consists of twenty-two unique en-suite cabins on stilts to ensure privacy and spectacular views of the landscape below and beyond. All cabins have a verandah with views of Mt. Kilimanjaro and Mt. Meru. Situated at the top of the lush and serene Suye Hill, Karama Lodge is a unique lodge with a rustic, yet comfortable, ambience providing a personalized service in a relaxing atmosphere. It is a peaceful secluded respite where you can enjoy the beauty around you to the sounds of the surrounding forest.